ADDIS ABABA, Ethiopia, November 6, 2013/African Press Organization (APO)/ -- Today, the Commission of the African Union (AU) and the International Partners, signed two Memoranda of Understanding (MoUs) at the African Union Headquarters, in Addis Ababa, Ethiopia, marking the renewal of two Joint Financing Arrangements. 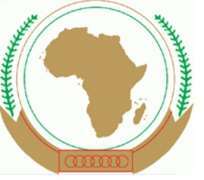 The first one provides support to the salary costs of the Peace and Security Programme of the African Union for 2013 to April 2015, while the second contributes to sustain the AU Liaison Offices in conflict and post-conflict countries, which covers the period 2013 and 2014. The Partners' contribution, namely; by the European Union (EU), Denmark, Germany, Norway, Sweden, the Netherlands and the United Kingdom (UK) will continue to maintain a joint support mechanism to enable the AUC fulfill its mandate in the area of peace and security in the continent. Representing the European Union, Mr. Gary Quince, EU Special Representative to the AU, welcomed this renewed cooperation between the AUC and Partners. He applauded the AUC's commitment in dealing with multiple conflicts simultaneously, particularly over the last two years and reassured the AU of the Partners continued support to the AU Peace and Security Agenda. He recalled that both JFAs and their implementation modalities represent concrete steps towards Partners' delivery on their Paris and Busan commitments to enhance donor coordination, harmonization and transparency based on the context of measurable results. On his part, Mr. Erastus Mwencha, Deputy Chairperson of the AUC expressed his appreciation for the continued support by Partners. He noted that this support has helped the AU strengthen its commitment to respond to conflicts in a timely manner and to monitor the situation closely to avoid escalation. The two Joint Financing Arrangements constitute an enhanced framework of cooperation between the AUC and Partners, which foresees a single reporting framework and a reinforced coordination among stakeholders. Today's signing of the JFAs will be followed by the conclusion of bilateral agreements between the AUC and each contributing Partner.